WitcheryPatch is a small mod for Minecraft that uses ASM to fix some bugs within Witchery, since Emoniph has vanished. If there are other bugs you'd like me to patch, let me know via the comments or the issue tracker (above) and I'll be sure to take a look at it. Hat from the Witchery logo is in the public domain via ClipArtLord. Binnie Patcher logo used with consent from Chocohead. 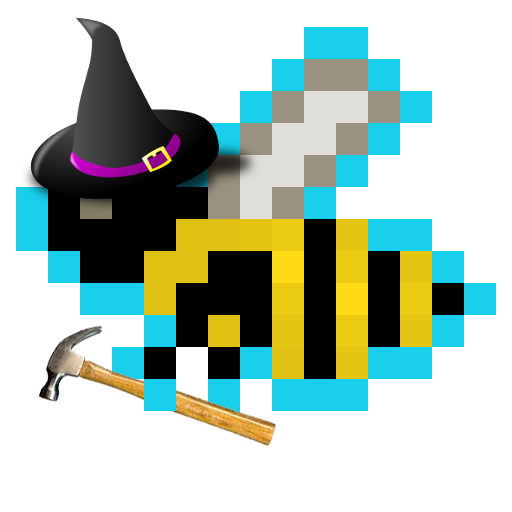 This mod has nothing to do with bees. Do you think that it will be possible to change the skin of the bat for the vampire part ? Idk what you mean by "doom cat"
Vampires die in the sun. That's a pretty universal thing in terms of vampiric lore. I'm not going to change that. Also don't really want to add a recipe for the creative blood. If you want to skip that part of the gameplay just cheat it in anyway. I have a modpack that has the witchery with the projecte, but due to an incompatibility, the witchery is not working right the witch oven for example does not work, the brews also do not work, all because of the projecte, would have how to fix that error of incompatibility? Without having to take out the projecte? I really like both mods. I really need more information to give you any kind of answer here. Define "does not work," what is "the project," and what other mods are present? This mod, WitcheryPatch, currently does not touch anything but NEI, it cannot break anything else. Most likely, there is an incompatibility with another mod in your modpack. They're talking about the mod Project-E, the Equivalent Exchange-esque thing. I believe they're asking if you would be willing to update your patch with something that could fix the compatibility issues between base Witchery and Project-E.
Do you mean the hardcoded potions (kettle) or disabling certain potion effects for potions that you make with the cauldron? I don't know how difficult this would be to implement, but I've noticed that Witchery doesn't accept subtypes of mobs. Things like variations on zombies and skeletons don't work for Witchery's purposes, rendering certain parts of the mod impossible if the mod which provides variants is strict enough. Ideally, this would be solvable with a config option to alias mobs to the bases (Allowing things like Hungry Zombies to count as Zombies as far as Witchery is concerned, instead of just undead) that Witchery looks for. Hm if you can do that; there is a problem in vanilla crafting table: when you misclick an arrow in it instead of recipe result it opens distillery recipes list. It annoys the hell out of me. Fixable? I've put it on the issue tracker. I'm not much of an artist and I don't really want this mod to be more than fixing actual bugs. And with those changes I'll probably have to ASM a huge portion of the mod which is undesirable. ...but seriously thanks for doing this.